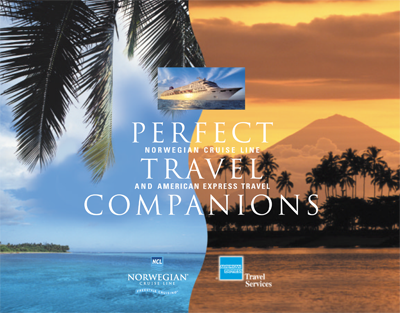 American Express Travel Services wanted to promote their Hawaii and South American cruise packages in conjunction with Norwegian Cruise Lines. This visually stunning direct mail piece conveyed both the lure of an exotic Norwegian Cruise Lines voyage and the value (in bonus offers) of booking that cruise with American Express Travel. This one mailing resulted in over $750,000 in new bookings and paid for itself many times over.